The lovely folks at Windham Fabrics asked me if I would like to participate in a blog hop to show off their Artisan Cottons. Well, a chance to work with a solid shot cotton that I have not yet seen - you know I said sure. Shortly after that, a box arrived with those beautiful fabrics - as with all shot cottons, the actual colours are different and more beautiful in person that what I am able to capture in a photo. If you follow me on Instagram, you might have seen this project developing - I have never made a wonky log cabin quilt so it seemed time to make one. Come back on Wednesday to see the final quilt, assuming I get it quilted today. These fabrics are lovely to work with - a nice quilting cotton weighted shot cotton. They washed up beautifully too. I'll be quilting today, and trying to come up with a name for my quilt. I hope you are having a lovely weekend too. I love your blocks! So pretty! I'm a new quilter though and don't know what a shot cotton is?!? Lol. Is it like Kona cotton? I know I'm showing my ignorance a bit but I guess I'll never learn if I don't ask. Thanks! 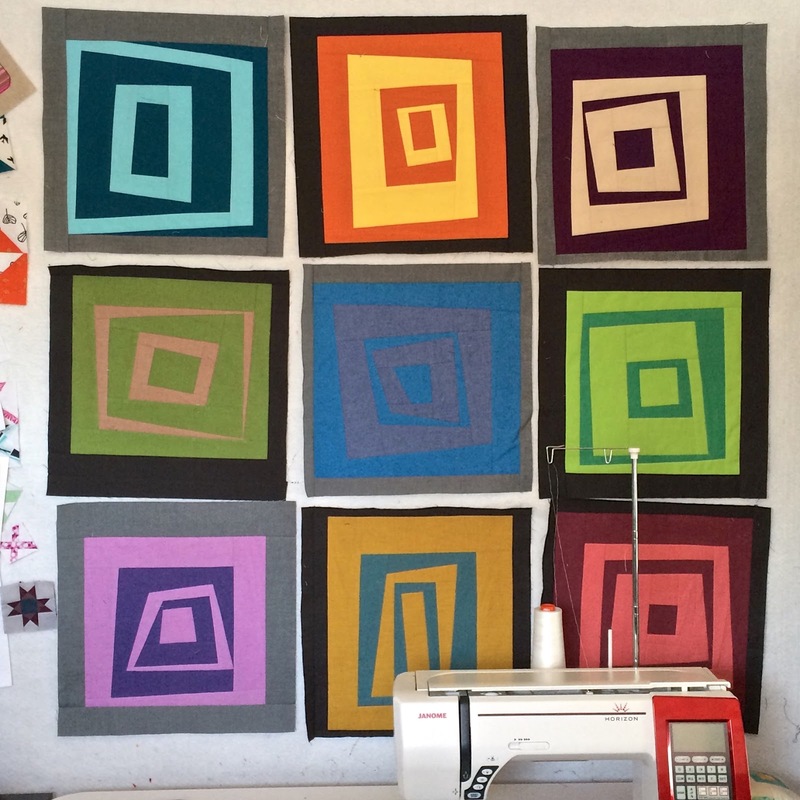 Leanne, I absolutely love these blocks, and especially in the bold shot cottons!!! Great job and thanks for sharing. Love the look of those fabrics. I'm a huge fan of solids being used in blocks and I love how you did that. Yeah, this project looks really cool! 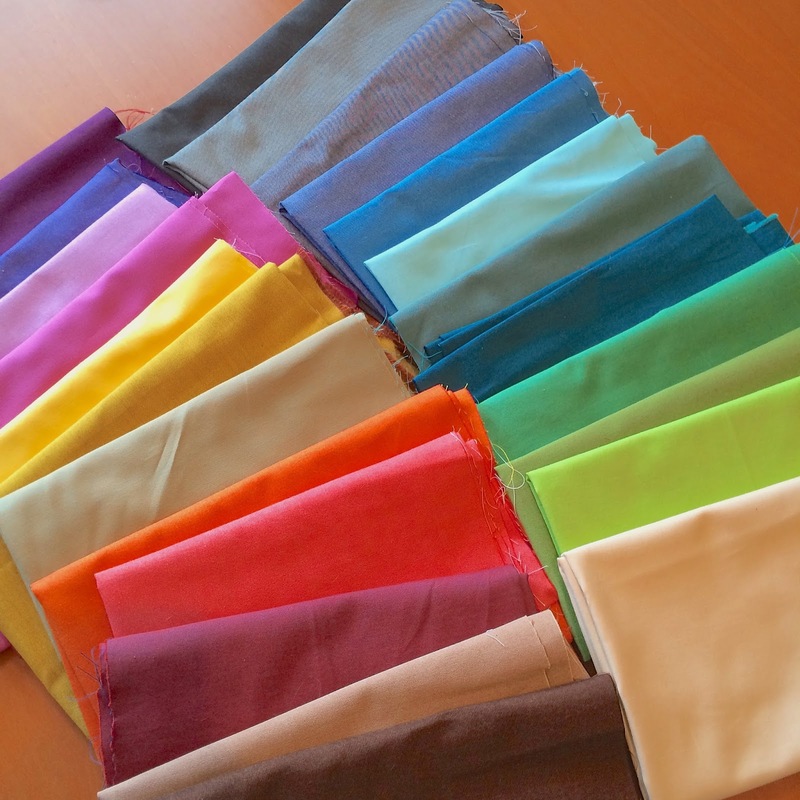 You have done a fantastic job of showcasing these fabrics. YUM! I didnt realize that they were shot cottons. Yummo!!! I absolutely LOVE these blocks! Could you please point me to instructions to make these blocks? Thank you very much. Love your blocks - great job!!!! Heart the fabric and your quilt!